Tomorrow is Mother's Day in the UK and I'm sure we're all looking forward to spoiling our mum's with a few gifts. 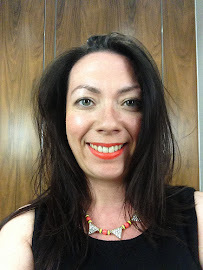 As is customary in blogging circles here's a rundown of one or two of my suggestions you might want to pick up for your mum if you're planning on shopping today. Years ago I myself would have turned up my nose a little at hand or foot creams as gifts, now, hand cream especially is one of my favourite things to receive. 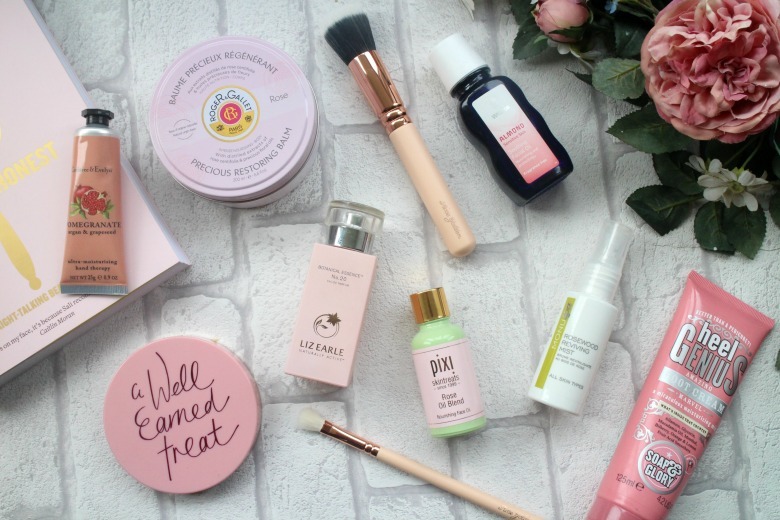 I could literally put together a post of my favourite offerings across all budgets but Crabtree and Evelyn and Soap & Glory are good places to start. These handy size tubes from Crabtree and Evelyn are only £5 and available in your local Waitrose and can be added to a box of chocolates or bouquet of flowers for an extra touch. Currently I'm favouring the Pomegranate scent but there are plenty to choice from. Heading to Boots there is of course a wealth of gifts for you to choose from. Does your mum like sweet scents and fun packaging then Soap and Glory have you covered across the board. You already know my bathroom is stocked up their range of body scrubs but in my bedside draw you'll find a tube of Heel Genius which I pop on my feet at bedtime. Another brand I'm a huge fan of is Roger and Gallet, they too have some handy sized hand creams, and try anything from the Fleur de Figuier range - its an amazing scent and included in the new body balms I spoke on in a post earlier this week. I've tried shower gels and body lotions and not one product has let me down yet. Track the range down in your favourite Marks and Spencer beauty hall. My mum enjoys make up and is a fan of using her hands for applying make up but she has been musing lately about getting herself 'some nice brushes'. Perhaps I could help her our but gifting her the Zoeva Rose Gold Brush Set*. I've recently had a chance to try one or two brushes from the Zoeva range and found them to be exceptional despite their lower price tag. They are comparable to Real Techniques both in price and quality and dare I say look a little more attractive sitting on the dressing table. As you know I'm not a fan of rose scented products but many are. There have been one or two rose scents that I have enjoyed this year, none more surprising than Liz Earle Botanical Essence No 20*. This was created to celebrated Liz Earle's 20th anniversary and I was expecting to think 'very nice but not for me'. Instead I was met with a sophisticated scent of rose that didn't make me wrinkle my nose up. Another rose product I've found myself enjoying recently is Pixi Beauty Rose Oil Blend*. One of the more affordable serum's around with pleasing packaging that is very 'instagram worthy'. The Rose Oil Blend will help provide all those things mature skins want; luminosity, rejuvenation and radiance. Along with the scent of rose geranium oils there's sweet almond, jojoba and others which make this something I'm enjoying. If your worries are dehydrated, dull or sagging skin then this is the moisture you or your mum might need. MonuSpa Rosewood Reviving Mist* has been a saviour for me this week whilst being unwell this week. With a changing temperature and moving from the cold outside to stuffy and warm a refreshing mist has been just the thing to keep me going through the day. It has a zesty fragrance which provides the perfect pick me up and would be great for any mum's that enjoy their sports of travel a lot and like to have a hit of moisture when needed. Another skincare treat for mums who like their products to be multi-tasking is Weleda Almond Oil*. Whether you want to use this as a facial treatment for sensitive skin, eye make up remover or on dry cuticles you can use this nourishing treatment as you see fit. I have mine sitting in my bedside table so that I can reach for it when I need it. My final shout out goes to Champneys who you may remember recently went under a huge rebranding. Maybe you want to plan a spa trip for you and your mum or just simply allow her to have the experience at home now you can pick from any of their easily identified ranges such as Heavenly Days or Summer Dreams. My top pick for any new mums is Champney's Heavenly Days Sleep Pillow Mist* with lavender, geranium and chamomile create a soothing aroma that you simply spritz over bed linen and allow yourself to settle for a perfect nights sleep. Are you giving your mum any beauty products tomorrow? The Weleda almond oil sounds beautiful! It's one of my prettier collections of products!